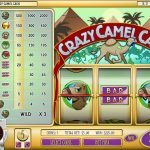 Crazy Camel is a 3 reel slot game released by Rival. The theme here revolves around a middle eastern desert and camels of course. The game itself is very simple so it is also lacking bonus features. The Wild in this game is the Camel symbol and it will substitute others to form a winning combination. Your wins also come with a 3x multiplier when having 2 or more wilds. 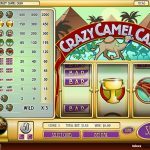 The Wild is also the jackpot here and getting 3 will win you 2000x of your bet. 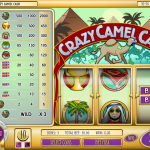 Crazy Camel is a simple 3 reels slot game with very limited bonus feature. That’s not always a bad thing but it is not a game that thrilled us. The RTP here is 95%. If you’re a fan of modern 3 reel slots then maybe you should consider playing Costume Party a 3 reel slot by Rival.